Elie Nadelman was born into a large middle-class family, which encouraged him to study art and music from a very young age. His father worked as a jeweler. He studied at the Academy of Fine Arts in Warsaw from 1899 to 1901. In 1902, he moved to Munich and visited the Glyptothek, where he took a special interest in Ancient Greek sculptures. He earned his living by producing satirical drawings. 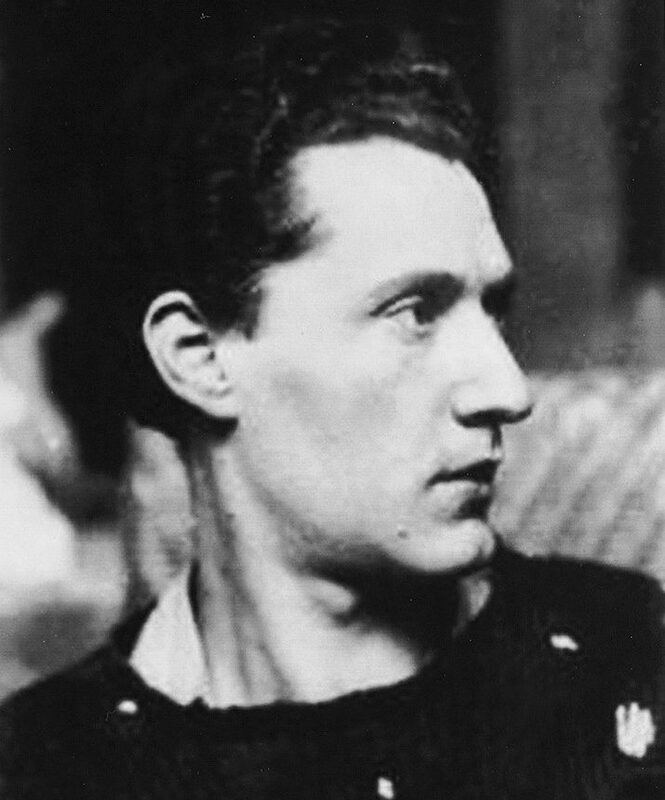 Nadelman arrived in Paris in 1904 and mixed with the avant-garde. He enrolled in the Académie Colarossi and lived in avenue du Maine in Montparnasse. Gertrude Setin wrote a poem entitled “Elie Nadelman.” He exhibited his work at the Société des Artistes Indépendants and at the Salon d’Automne from 1905 to 1908. The Galerie Druet organized his first solo exhibition in 1909. Leo Stein, who had introduced Picasso to Nadelman the previous year, bought several works. Nadelman also made friends with Apollinaire, Brancusi, and Mondrian. 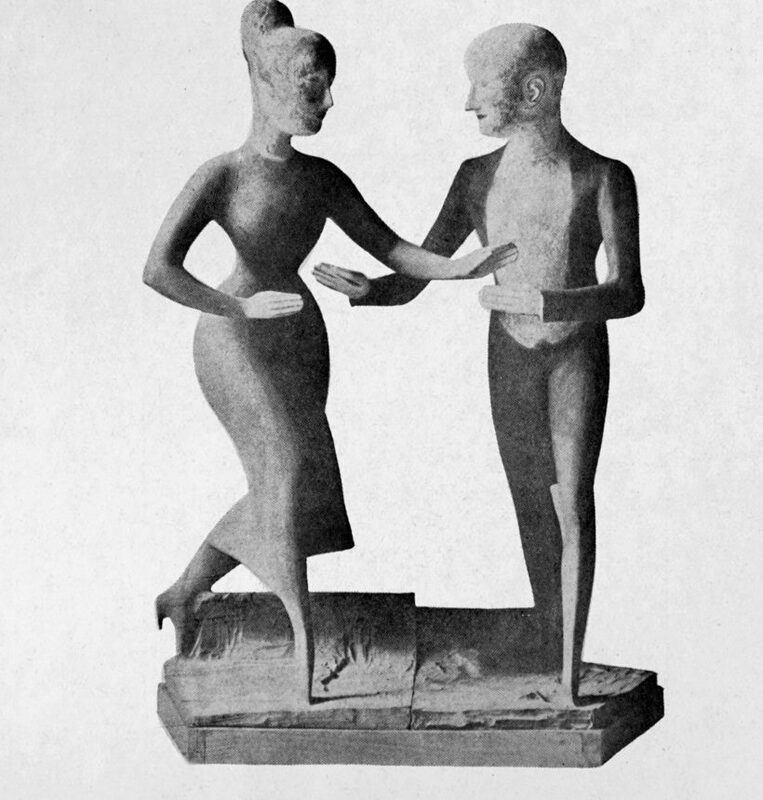 In 1911, the Patterson Gallery organized an exhibition of his sculptures in London. The collector Helena Rubinstein bought all the works and became his patron. She commissioned him to produce statues and bas-reliefs for her house in London. He won international recognition following his second solo exhibition in Paris and his participation in the Armory Show in 1913. Shortly after the declaration of war in 1914, Nadelman moved to the United States with the help of Helena Rubinstein. He acquired American nationality in 1927. He was supported by important people in the art world, such as Alfred Stieglitz and Bernard Berenson, who helped promote his art. In 1920, he married Viola Flannery, a rich heiress. Together, they collected folk art and set up the Museum of Folk and Peasant Arts in Riverdale in 1925. The Crash of 1929 ruined Nadelman and his wife financially and morally. In 1937, they sold their museum collection to the New York Historical Society. Nadelman withdrew from society and obstinately refused to exhibit his work. His last solo exhibition took place at the Galerie Bernheim- Jeune in Paris in 1930. Five years later, the workers who were remodeling his studio destroyed many plaster sculptures and woodcuts. Nadelman stored the pre-1935 works in the cellar of his house in Riverdale, where they disintegrated. In 1946, Elie Nadelman died in debt, sad and depressed. Following his death, numerous small terracotta figurines were found in his studio. His sculpture Man in the Open Air was restored and exhibited in a retrospective at the MOMA.